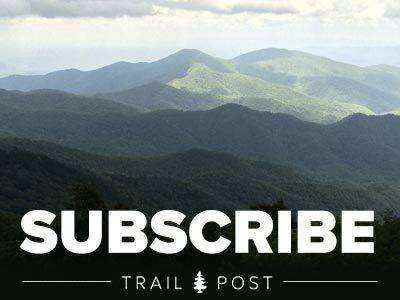 Shenandoah, Great Smoky Mountains National Park, and the Blue Ridge Parkway are three of the country’s most popular national parks, with a combined total of more than 30 million visitors annually. But there are over 50 other national park units across the South. Some are official but lesser-known national parks like Congaree and Mammoth Cave. Others are managed by the National Park Service but have slightly different designations, including national monuments, national seashores, and national battlefields. Even the White House and Pennsylvania Avenue are part of the national park system. So what distinguishes areas worthy of inclusion? Beyond the importance of their environmental assets, national park designations first and foremost provide visitors with “windows on the past,” be it through the home of Franklin D. Roosevelt or the rapids of the New River Gorge. Check out 10 of our less-heralded, often-overlooked national park units and adventures in the Southeast and Mid-Atlantic, then go outside and celebrate the #nps100! National Rivers and Wild and Scenic Riverways preserve ribbons of land bordering free-flowing streams which have not been dammed, channelized, or otherwise altered. Clear blue waters, raging class IV+ rapids, countless waterfalls and swimming holes tucked behind bands of sandstone bluffs. 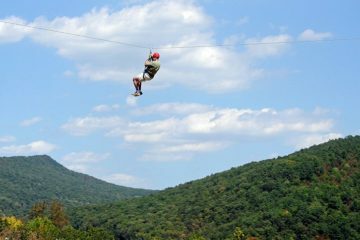 This national river and recreation area is a paradise for outdoor enthusiasts of all varieties. Its protected lands, cliffs, and waters expand for 125,000 acres across the Cumberland Plateau. The rugged geography is home to natural stone arches, caves, and ancient dwellings. Play: The Big South Fork gorge plunges 500 feet to where it meets the river, which means steep terrain and technical whitewater. The park offers 180 miles of trails for hikers and trail runners, 35 miles for mountain bikers, and nearly 200 miles for equestrians. The trails are canine-friendly, and the mountain bike access is expected to expand in the coming years. And for paddlers of all abilities, the vast watershed of the Big South Fork of the Cumberland provides flatwater and whitewater trips alike. Make an overnighter out of your flatwater float, or experience the sheer cliff walls and class IV+ rapids of the gorge in a day. Many tributaries like Pine Creek and North White Oak are steep and technical and attract the attention of the region’s best paddlers. Stay: Need amenities? We don’t blame you. Bandy Creek on the Tennessee side and Blue Heron in Kentucky are developed campgrounds that provide easy access to the park. Backcountry camping is allowed throughout Big South Fork, but a permit and minimal fee is required. 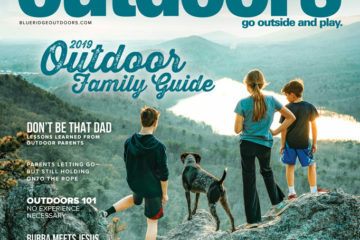 Get There: Just under an hour-and-a-half from Knoxville, Tenn., the park is located off TN-297 W, but do your homework ahead of time—cell service can be spotty in these parts and GPS directions are unreliable. The closest town to Big South Fork is Oneida, Tenn.
Legend has it that the Obed River was named after the longhunter Obediah Terril, who explored the Cumberland Plateau in the late 18th century. The present-day protected lands once hosted the Catoosa Railroad, where small communities thrived. Yet after two devastating floods in 1929 and again in 1940, Mother Nature reclaimed what was rightfully hers. For decades, the land remained practically untouched except for the seldom few who dared to venture into the Obed’s remote watershed. But when the Tennessee Valley authority announced plans to construct a dam on the Obed, the locals pushed back. Bill and Lee Russell, who jointly formed the grassroots advocacy group Tennessee Citizens for Wilderness Planning (TCWP), led the charge. Their cause gained momentum, enough so that in 1976 the National Park Service designated the Obed a Wild and Scenic River. Play: The Obed’s sandstone cliff bands hide some of the best sport climbing in the Southeast. With over 350 developed sport routes speckled throughout the area, a developing boulder scene, and mild weather year-round, climbers can expect relative solitude at the crags on even the sunniest of weekends. The climbing here is steep, sometimes scaling more than 120 feet in a single pitch and with horizontal roofs, jugs, and slopers galore. For whitewater enthusiasts, paddling the Obed River is a must. Combined with the Emory watershed, there are over 100 miles of river that wait. 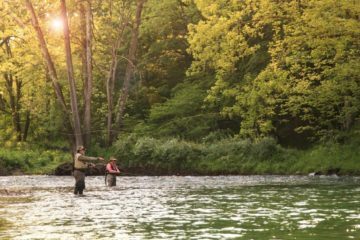 From flatwater to the class II-IV Obed Canyon, boaters will be rewarded with a scenic and pristine experience in a river that has remained largely unchanged throughout the centuries. Stay: Affordable, authentic, and dog friendly. Doesn’t get much better than Del and Marte Scruggs’ Lilly Pad, where the hosts are welcoming, the beers are cold (and brewed in-house), and the campfire is always stoked. Free backcountry camping permits are available online or at the Obed Visitor Center for those who want to rough it, while the nearby Rock Creek Campground provides primitive toilets and grills, but no running water. Get There: About 45 minutes northwest of Knoxville, the Obed is most easily accessed by way of TN-62, which cuts through the town of Lancing. National Seashores focus on the preservation of natural values while at the same time providing water-oriented recreation. 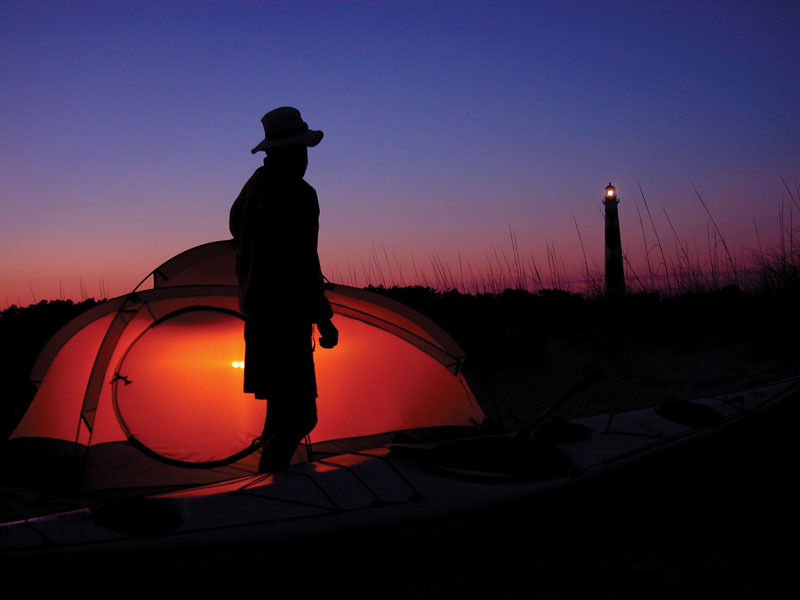 Often overlooked by Cape Hatteras to the north, Cape Lookout National Seashore stretches for 55 miles over the course of three undeveloped barrier islands—North and South Core Banks and Shackleford Banks. Situated in the southernmost half of North Carolina’s Outer Banks, the seashore’s history is fraught with shipwrecks and war, hurricanes and lifesavers. Exploring the islands now is literally like walking back in time—the remnants of Portsmouth Village, a once-bustling hotbed of mariners and surfmen, still stand today, as do the structures surrounding the Cape Lookout lightstation. Play: Hike the trails on Harkers Island, where the Cape Lookout Visitor’s Center is located. The trails are short, but rich in diversity and history. As you wind through maritime forest and marsh, keep an eye out for waterfowl. If you want to see the seashore the way an old-time mariner might have, grab a boat and hit the water. You can launch straight from the Visitor’s Center at Shell Point and explore the 112 miles of uninhabited shoreline to your heart’s content. Of course, no trip to Cape Lookout is complete without a tour of the lighthouse. It’s a strenuous outing, and even experienced paddlers will want to do some research on the tidal patterns here. For all the effort, though, paddlers may catch sight of pelicans, ibis, egrets, and even stingrays, dolphins, and sea turtles. Not to mention the lighthouse itself, which is open to the public. As you pass by Shackleford Banks, keep your eyes peeled for the wild horse population that has inhabited the island for over 400 years. Stay: Pitch a tent and post up on the beach. Think open night sky, gentle roar of waves crashing along the shoreline, faint breeze blowing in the low-lying marsh. Pretty picturesque, right? Also, pretty sandy. So for those who prefer slightly more refined lodging, check out the cabins at Long Point on North Core Banks and Great Island on South Core Banks. Car camping is also permitted for four-wheel drive vehicles from March through November on North and South Core Banks. Get There: The three barrier islands are only accessible by boat, so paddle yourself across or hop on a ferry. Passenger ferries leave from the communities of Harkers Island, Beaufort, Morehead City, and Ocracoke, N.C., and the ferries from Davis and Atlantic, N.C., can transport passengers as well as vehicles. 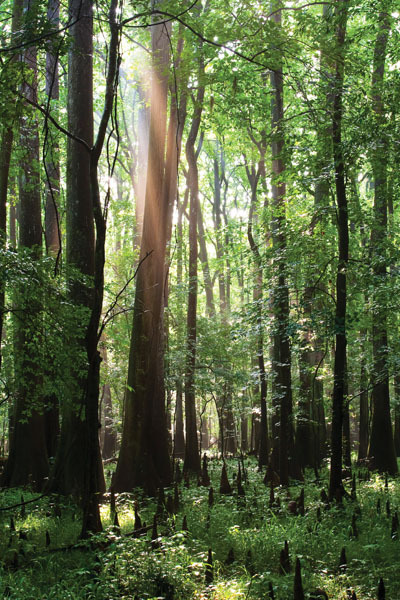 Since gaining national park status in 2003, Congaree is quickly turning the minds of naysayers who see swamps as nothing more than dark, mosquito-infested mires. That’s probably because Congaree really isn’t a swamp—it’s a floodplain that floods roughly 10 times per year. The park’s namesake the Congaree River borders the 22,000-acre swath of forest to the south, but an intricate maze of creeks and intermittent streams take visitors right through the heart of the largest contiguous tract of old-growth bottomland hardwoods in the country. Play: You’ll want to bring a pair of binoculars for this trip. Birders can spend the day taking in the sights and diverse vegetation of the 11.7-mile Kingsnake Trail, which nears Cedar Creek. Barred owls, wood ducks, and various species of woodpeckers are commonly seen and heard throughout all seasons. But to get the full experience of Congaree, you’ll need to BYOB (bring your own boat). Put in at Banister’s Bridge and take the Cedar Creek Canoe Trail, which winds for 15 miles past bald cypress trees and Spanish moss so thick, you’ll think you’re on the set of Jurassic Park. The binoculars will come in handy as you search for the champion Loblolly pine, which stands 167 feet tall. Stay: Ditch the bed and air conditioning and be at one with the elements! The park offers two designated places to camp, Longleaf and Bluff Campgrounds, which are primitive even by campground standards. Longleaf has access to vault toilets, but neither campground has running water. Backcountry camping is free to visitors, but the swampy conditions can make it hard to find someplace dry to pitch a tent…so bring a hammock! 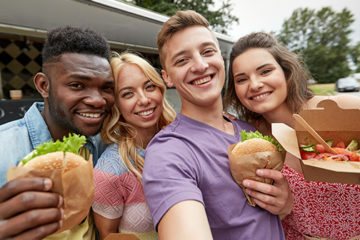 Get There: About a two-hour’s drive from major metropolitan hubs like Spartanburg, S.C., Charlotte, N.C., Charleston, S.C., and Augusta, Ga., Congaree is some 20 miles southeast of Columbia, S.C., via SC-48. It’s big, it’s dark, and it’s a little weird, but so goes the history of Mammoth Cave, the world’s longest cave system. At over 400 miles, the vastness of Mammoth’s system continues to expand year after year. Its vaulted chambers and complex labyrinths piqued the interest of Native Americans, miners, and musicians alike. Relics from times long gone still stand in the cave, like ancient graffiti, abandoned mining equipment, and stone huts used to house tuberculosis patients. History, culture, and natural wonder, Mammoth Cave is all of that and then some. Play: Get down and dirty with a Wild Cave Tour of Mammoth. You’ll be crawling, squeezing, and climbing to all of those hard-to-reach places the other guided tours talk about. The park is also home to more than just the Mammoth Cave system. Nearly 84 miles of trails in the backcountry, frontcountry, and Visitor’s Center areas weave throughout the park. Mountain bikers will enjoy the rugged 9.1-mile Big Hollow Trail, which is divided into beginner and intermediate-advanced friendly loops. 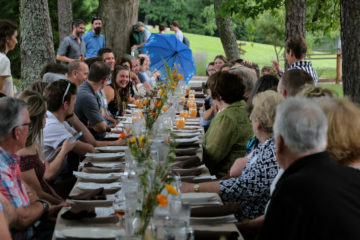 Stay: The Mammoth Cave Hotel is an obvious choice for those who prefer the comforts of home, but the park also has a number of historic cottages and three convenient campgrounds. Get There: Just a half hour northeast of Bowling Green, Ky., Mammoth Cave is most easily accessed by taking the Mammoth Cave Parkway off of I-65. Various titles—National Military Park, National Battlefield Park, National Battlefield Site, and National Battlefield—have been used for areas associated with American military history. After more than 12,000 years of Native American presence, these two sites saw some of the hardest fighting during the Civil War, largely due to the fact that Chattanooga held a special appeal to both the Union and Confederacy—the city served as a key rail center and gateway into the heart of the Confederacy. Though the Union was initially forced to retreat after the Battle of Chickamauga, the North’s soldiers eventually succeeded in driving the Confederates south out of Chattanooga and into Georgia. Play: Hike or ride (your horse, not a bike) through the park’s 40+ miles of trails. What better way to make history fun, and tangible, than by walking through the battlefields and historic sites yourself. Cannons, monuments, and literature are sprinkled throughout the trails, helping you make the most of your visit. The Lookout Mountain Battlefield is also a great place to take a stroll. The trails here lead visitors past iconic overlooks of the valley below. Some of these same overlooks can be seen in images shot during the Civil War. 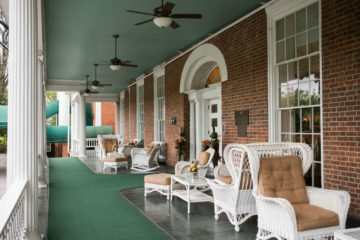 Stay: Though there is no available lodging on park grounds, Captain’s Quarters Bed & Breakfast Inn and Battleview Bed & Breakfast are a stone’s throw away in Fort Oglethorpe, Ga.
Get There: Cross the border into Georgia via US-27S from Chattanooga. The park is less than 10 miles from downtown. 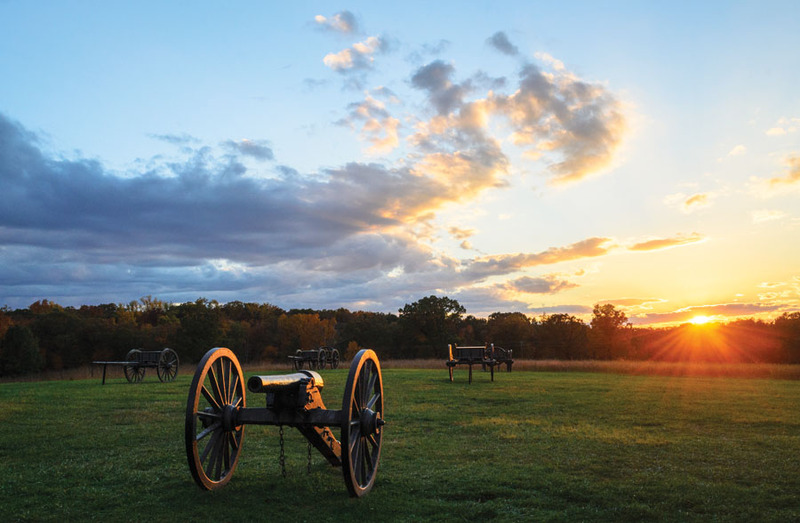 Though most may recognize Manassas as the setting for two Confederate victories during the Civil War, this national battlefield now serves the public as more than a tribute to the history that took place here. In Prince William County, where urbanization is rapidly spreading, the park’s 5,000 acres are surprisingly unspoiled, more so than most anywhere else in the Culpeper Basin. The meadows, woodlands, and streams are home to 168 bird, 26 mammal, 23 reptile, and 19 amphibian species. Despite the fact that Washington, D.C., is just 30 minutes away, this small park offers a refuge and migratory bird rest stop, so to speak, for redheaded woodpeckers and ruby-throated hummingbirds. In fact, it is because of the park’s grasslands, which are some of the largest protected grasslands in northern Virginia, that Manassas was selected as an Audubon Important Bird Area. Play: Hike along the Stone Bridge Loop Trail to get a taste for the park’s biodiversity. Between the Eastern White Pine, the Virginia Pine and Eastern Red Cedar, Piedmont Swamp, and Piedmont Bottomland forests, this chunk of the park is truly unique. At 1.3 miles, it won’t take you all day to hike the trail, but the multitude of flora and fauna here is not to be missed. Once you’ve finished your tour of the natural assets at Manassas, follow the First Manassas Loop or the Second Manassas Loop to learn more about the battles’ history. Each loop is paired with its own app for details regarding the engagements. Stay: While the park does not offer lodging or camping onsite, the Manassas Junction Bed & Breakfast is just a 15-minute drive away. Its close proximity to Old Town Manassas and the Manassas Museum will keep in theme with your historical tour of northern Virginia. Get There: No matter if you come from I-66 or I-95, you’ll eventually land on Route 234. The park is just over 30 miles west of the nation’s capital. National Historic Parks are commonly areas of greater physical extent and complexity than national historic sites. Originally constructed as a means of increasing trade and job opportunities throughout the Potomac River Valley, the Chesapeake and Ohio (C&O) Canal’s function as a trade route came to an end in 1924, but its towpath stands as testament to the period of innovation characteristic of the late 19th and early 20th century. Stretching for 184.5 miles from Washington, D.C., to Cumberland, Md., the towpath is a recreational mecca for bicyclists, hikers, and even paddlers, though the rewatered sections of the canal are few and far between. Play: Bike the C&O Canal in a day, if you’re in the mood for a challenge. The unofficial record holders for cycling all 184.5 miles of the towpath are, supported, 11 hours and 41 minutes, and unsupported, 12 hours and 36 minutes. For those who would rather take the time to stop and smell the roses, the trip can easily be accomplished in less than a week, depending on your mileage. Near the beginning of the towpath at mile 14, you’ll cross Great Falls, one of the most breathtaking sights along the C&O Canal. Bring a camera! Stay: Go light by eating and sleeping in the towns you cross, or lug food and gear with you and utilize the numerous campgrounds along the way. There are 30 hiker-biker campgrounds located roughly every eight miles along the canal, with a limit to one night’s stay per trip. 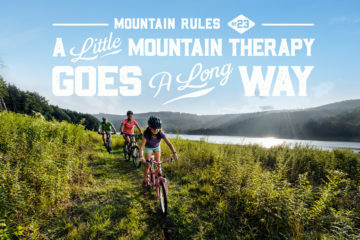 Riders dreaming of a bed and a shower can find it at two hostels en route—Washington International Youth Hostel at mile 0 and Harpers Ferry Youth Hostel at mile 59. Get There: A number of access points exist along the C&O Canal, the primary ones being Visitor’s Centers in Washington, D.C., Potomac, Brunswick, Sharpsburg Pike, Williamsport, Hancock, and Cumberland, Md. Check out nps.gov for directions on the access point nearest you. Originally, National Recreation Areas in the park system were units surrounding reservoirs impounded by dams built by other federal agencies. Whitewater paddlers around the world rank the Gauley River high on their list of top river destinations, but what is it about this West Virginia river that has so enamored the paddling community? Is it the dramatic gorge and exposed cliff lines carved away by the river? 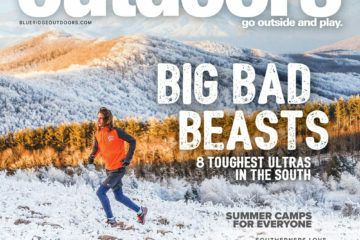 Is it the rowdy, big water, high-volume rapids that drop 668 feet over the course of 28 miles? Is it the quiet feeling that overcomes you as you float downstream of Sweet’s Falls, just you and your crew and not another paddler in sight (unless, of course, you’re paddling during Gauley Fest weekend)? It’s all of that, and then some, that make the Gauley River one of the best in the world. Play: Be prepared to get wet on this wild and wonderful adventure. The Gauley River season begins the first weekend after Labor Day and continues for six weekends. For experienced boaters, both the Lower and Upper sections of the Gauley are packed with consistent, big-wave fun. Playboaters will find plenty of on-the-fly and eddy-service waves and holes to surf. Diagonal Ledges on the Lower Gauley is a popular spot to stop, play, and break for lunch. Only in town for a day? Marathon the upper, middle, and lower all in one fell swoop. Visitors with a knack for adventure but no technical whitewater skills can enlist the services of a local raft company to guide the experience for them. 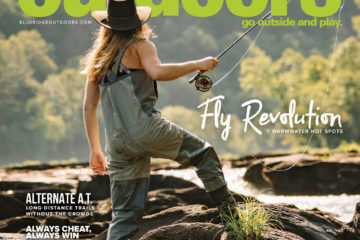 Anglers should be sure to visit the Gauley in the spring and fall when the trout, smallmouth bass, walleye, and muskellunge populations swim aplenty. Stay: You’ll find most of the river rats posted up at Gauley Tailwaters Campground during the season, eagerly awaiting the water. While backcountry camping is allowed throughout the recreation area, much of the land is privately owned, either by raft companies or individuals. Be respectful of private property when camping. Get There: About 90 miles due west of West Virginia’s capital, Charleston, the closest town to the Gauley River is Summersville. No matter which way you’re coming from, you’ll eventually hop off US-19 onto Route 129 where a number of river access points can be reached. National Preserves were established primarily for the protection of certain resources. 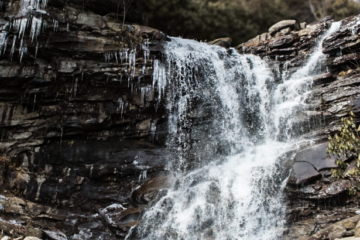 Nestled in the northeastern corner of Alabama, Little River Canyon is one of southern Appalachia’s greatest hidden gems. The river itself is unique in that it forms and flows for nearly its entire length on top of a mountain. 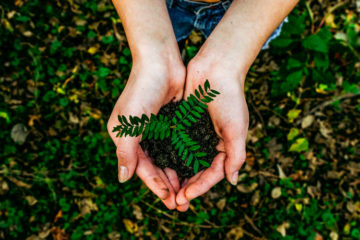 This ecosystem nurtures some 1,069 vascular plant species, not to mention 145 species of birds, 30 species of mammals, 74 species of reptiles and amphibians, and 47 species of fishes. Yet for all of its natural diversity, at its core, Little River Canyon is a recreational Shangri-la for kayakers and climbers who don’t need a guidebook to find adventure. Play: The high-quality sandstone in the preserve is steep and often overhanging, which means the routes here are the hardest of the hard. In fact, less than one percent of the routes are easier than a 5.11. Bring an extra set of guns (the ones attached to your shoulders) if you plan on climbing here. There is no formal guidebook for climbing in the canyon, nor will you find any of the routes on Mountain Project, so be prepared to learn about the climbing here the old fashioned by way—by winning over the locals. Established hiking trails are also limited here, save for what the kayakers and climbers have trampled down over the years. Paddling the Little River Canyon will feel like a first descent no matter how many times you navigate its class III-V rapids. The upper section, affectionately deemed by the locals as “The Suicide Section,” features a 30-foot waterfall, rock gardens, tight slots, and everything you love—and hate—about steep creeks. The lower section, however, is a classic, a jewel of a run that every intermediate and advanced paddler should add to their list. Stay: There is no camping allowed within the preserve, but nearby DeSoto State Park offers everything from cabins and chalets to a campground. Get There: The entrance to Little River Canyon is about an hour south of Chattanooga by way of I-59.